Eat eels in Midsummer day of the ox!? Japanese customarily eat eels to fight fatigue caused by summer heat on midsummer day of the ox. 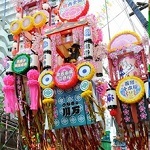 Day of the ox comes four times a year, but this day in summer is most popular. Midsummer day of the ox is in the late July, and in the early August depending on years. The former is called Ichi-no-ushi, the latter is called Ni-no-ushi. There are several theories about the origin of eating eels, but popular theory is that was spread by Gennai Hiraga who was a famous inventor for his Erekiteru(electrostatic generator). In Edo period(1603-1868), restaurants specialized in eels struggled with their sales were shrinking during summer because ells were not seasonal foods in summer. One of the owners asked Gennai's advice, and he advised setting up a sign saying "Today is midsummer day of the ox". He explained that people should eat eels to prevent summer fatigue and this day is perfect timing to eat. Its sales in summer increased with his theory, and other restaurants followed. Nowadays, the number of farmed eels is increased. Japanese can eat eels all year-round, and don't think eels are seasonal foods in winter. Many Japanese eat eels only on midsummer day of the ox rather than in winter because the price of eels is higher than in the past. It is about 2,000yen(about 20dollars) per person in a grocery store, but is about 5,000yen to 10,000yen(about 100dollars) in eel restaurants now. It may become higher depending on fry's price, many vendor of eel are trying to stabilze its price. In contrast, some people develop a substitute for an eel. Most hopeful substitute is the special catfish developed by Kindai University. It is sold in over 100 grocery stores managed by AEON Corporation on midsummer day of the ox 2016. 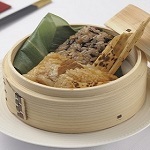 "Kabayaki" made from broiled eel with a sauce is most popular eel dish in Japan. A bowl of rice with it is called "Unadon", and a box of rice with it called "Unajyu". The former is cheaper than the latter because of the amount of eels in general. Some Japanese sprinkle Japanese pepper called Sansho on it. In addition, "Kimosui" made from eel's liver with soup often served with them in eel restaurants. Some eel restaurants serve "Shirayaki" made from broiled eel without above sauce. It is eaten with a wasabi(Japanese horsedish) or grated radish or salt, and goes well with sake or other alcohol. "Kimoyaki" made from grilled eel's liver also goes well with sake. It is a gourmet way of eating eels, but it may be delicious for some visitors. 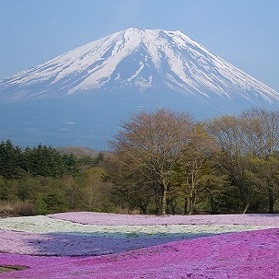 By the way, Hamamatsu city in Shizuoka prefecture is well known as a production area of eels. This area has many eel farm and restaurants, and is famous for an eel pastry. In addition, Nagoya city in Aichi prefecture is famous for eel dish called "Hitumabushi". Unajyu and it look alike, but it is different from Unajyu in that it is eaten with tea poured on it. It takes 90 minutes from Tokyo station to Hamamatsu starion, and takes 100 minutes to Nagoya station by Shinkansen train. Of course, there are many eel restaurants in Tokyo, Osaka and Kyoto. If you travel Japan, you can enjoy an eel dish and experience Japanese culture through it. It might to be a good idea to eat an eel dish for lunch because the price of it at lunch is cheaper than at dinner.